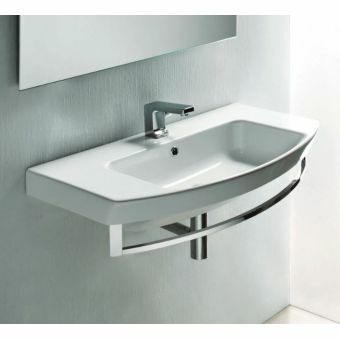 The Villeroy and Boch Antheus vanity washbasin is an exquisite bathroom vanity sink from market leading bathroom ceramics giant V&B. 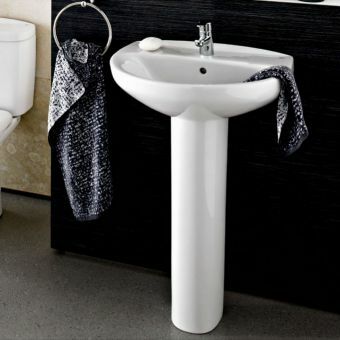 The crisp Alpin White finish has a ceramic plus easy clean coating as standard, making this basin a breeze to clean while it also stays cleaner for longer. 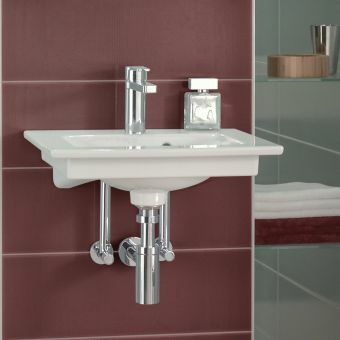 The basin comes with one central tap hole, with the option to create 3 tap holes as the outer 2 holes are templated underneath allowing your fitter to tap out the basin for 3 tap holes if required, as is standard practice with German bathroom sinks. 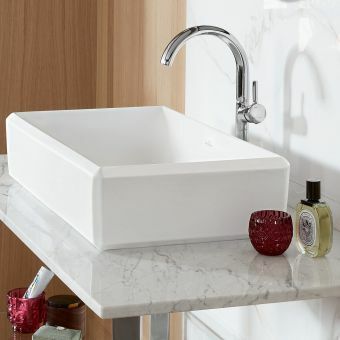 This basin has an overflow hole, (a no overflow version can be made to order if you contact our sales team they can assist in quoting a lead time and price on this option). 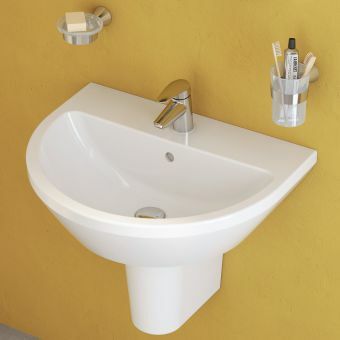 Having an overflow is the standard option and is a safer choice to avoid basins overflowing. 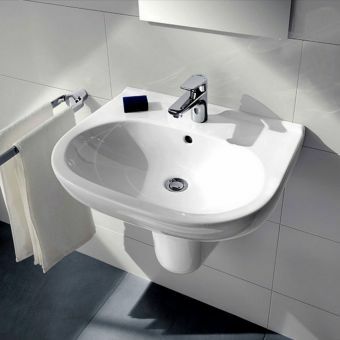 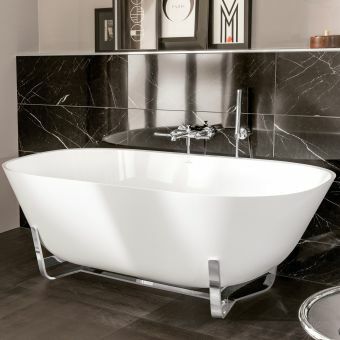 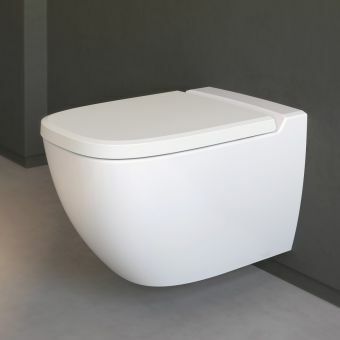 The basin has a lovely squared aspect, with its edges being faceted in a lovely modern take on a classical design. 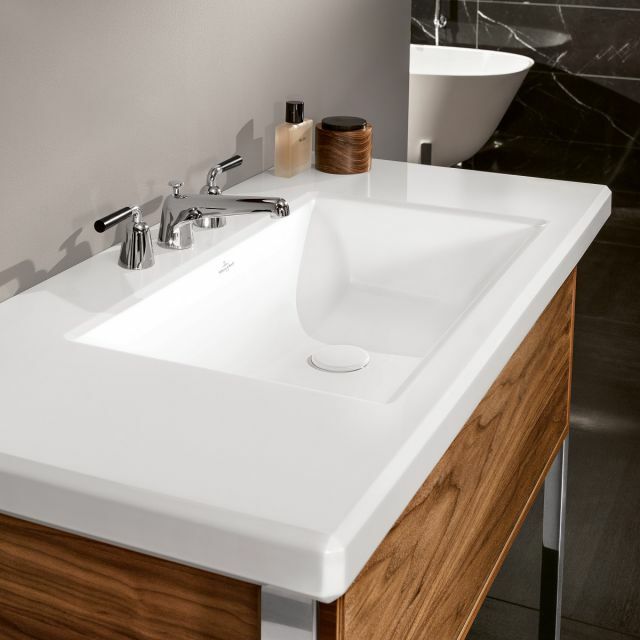 The faceted corners sparkle and catch the light, highlighting the quality and craftsmanship that goes into every piece of Villeroy and Boch pottery. 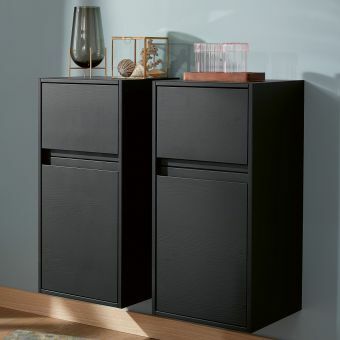 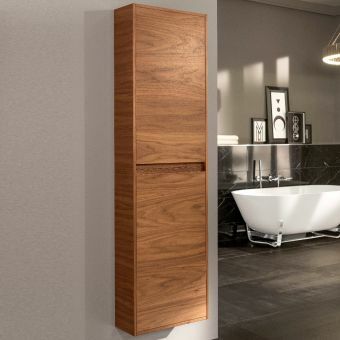 The Antheus range was designed by German Industrial designer Christian Haas, with the idea of the collection being contemporary but with classical design references. 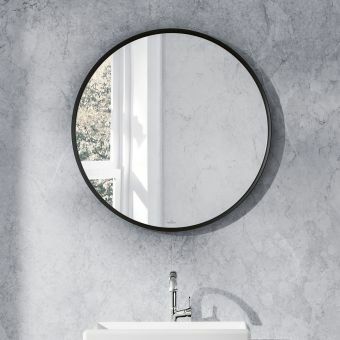 This gives a lovely modern feel with crisp recognisable & respectable forms that feel comfortable and familiar, yet fresh and exciting! 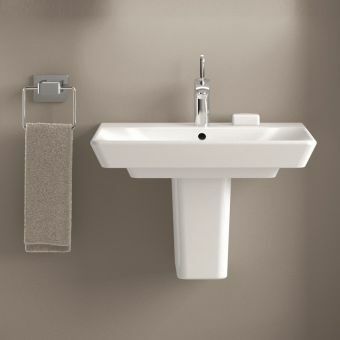 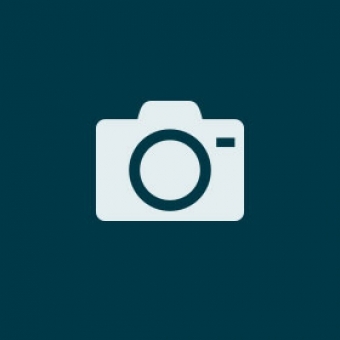 This also gives the collection a premium, timeless aspect that will look magnificent for years to come. 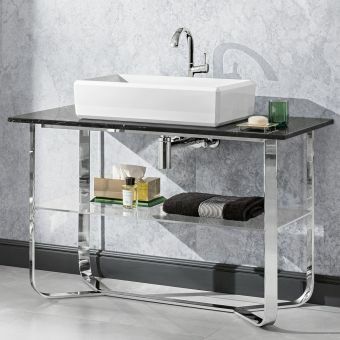 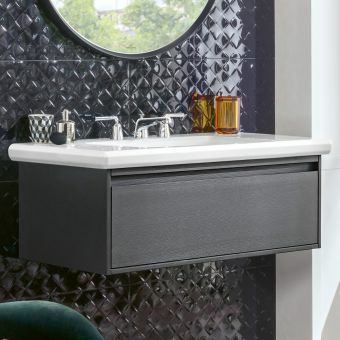 Pair the basin with its matching vanity unit as required above, the basin can be specified in either 1200mm or 1000mm in width, the furniture comes in Black Ash or American Walnut.